A review article on regenerative rehabilitation, co-authored by our unit members: Drs. 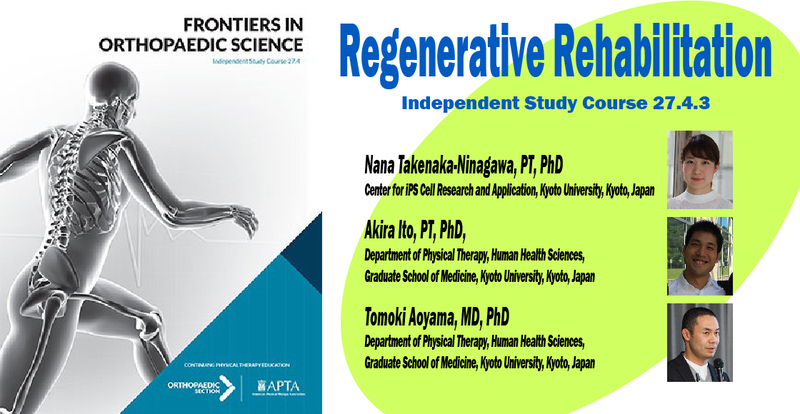 Takenaka; Ito; and Aoyama, has been issued on the Frontiers in Orthopaedic Science, which is one of Independent Study Courses in the Continuing Physical Therapy Education program for APTA (American Physical Therapy Association). We will keep making our best effort to internationally contribute to the field of Regenerative Rehabilitation.